The day will come when each of us ill stand before God in His throne room. The book of Revelation specifically gives us stunning insight into what God’s glorious throne room is all about. 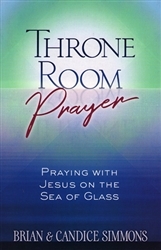 Understanding prayer from within the throne room will change how you pray and live. 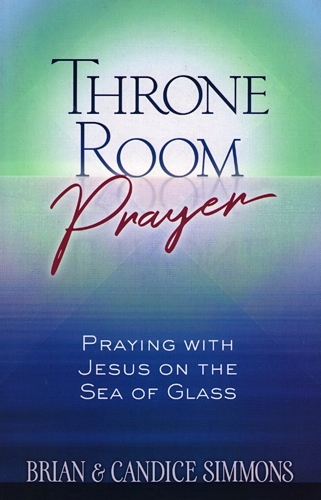 This wonderful book will take you to the sea of glass to experience for yourself the beautiful throne of God. It is God’s invitation for you to become a prayer partner with Jesus and learn sacred secrets. He wants to fill your heart with heaven’s plans and use your voice as a magnet to pull His presence to the earth. Expect your eyes to be opened and see into the spiritual realm. The kingdom of heaven is close enough to reach. The door is open and grace is upon your life. Lift up your voice and watch how God changes you through Throne Room Prayer. Chapter 7: Priests of the Planet! Dr. Brian and Candice Simmons, together with their three children, spent nearly eight years in the tropical rain forest of the Darien Province of Panama. Brian served as a church planter, translator, and consultant. He was involved in the Paya-Kuna New Testament translation project and studied linguistics and Bible translation principles with New Tribes Mission. Brian is now the lead translator for The Passion Translation and is currently translating the Old Testament. Brian and Candice travel full time speaking, teaching, and helping churches and leaders grow in Christ. They make their home in Wichita, Kansas.